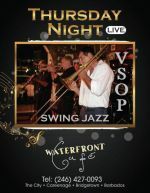 The very popular VSOP Jazz Band plays every Thursday. 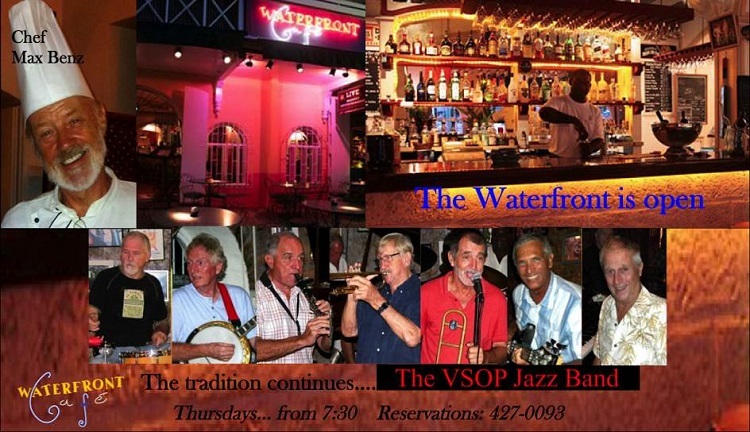 The VSOP is a local 7-piece Dixieland Jazz Band that has been playing for 28 years at The Waterfront, and for 32 years in all. They are an informal and fun act. 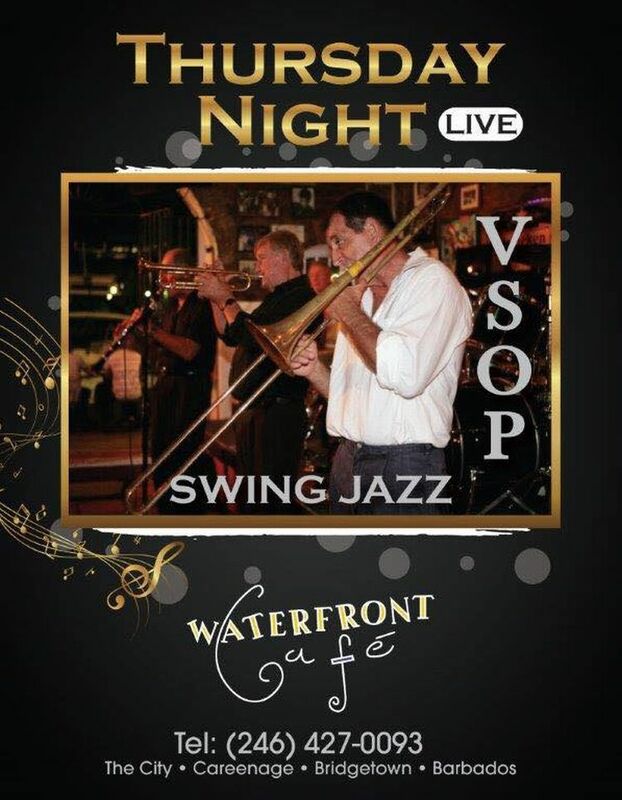 They are led by Andy Voss (trumpet and vocals). 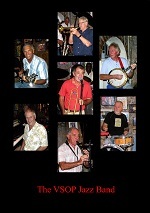 Others are John Duckhouse (trombone and vocals), Tony Cummins (clarinet and sax), Art Taylor (piano), Robert Foster (drums), Ronnie Crebbin (banjo), and Chris Gibbs (bass).